The Kopernik Memorial Association, a local Polish cultural organization, is partnering with the Notre Dame Music Department for a special display and performing arts event at the Utica Public Library, Genesee St. on Fri. Dec. 1st and Sat. Dec. 2. The event features an exhibit of Polish Szopka (shup kah), unique Nativity scenes, ornately rich and detailed in miniature using recycled materials, colored foils and trims. The hand-fashioned Christmas cribs are built to resemble the medieval architecture of Kraków. Creating these mini masterpieces is a Polish tradition which dates back to the 19th century. 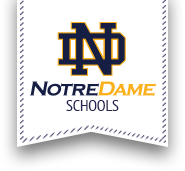 11:30 a.m. - 1:30 p.m., musical performances by the Notre Dame Jr./Sr. High School band and ensembles with costumed singers and musicians. This event is free and open to the public. Light refreshments served. Polish items for sale. An authentic Traditional Szopka will be on display Saturday only. According to Mary Currie, of the Kopernik Memorial Association, Notre Dame was the pilot school to help introduce the szopka to the greater community last year. But the program blossomed into more than the colorful Nativity creations. “It’s not just an art project,” she said, “It’s the coming together of faith and culture.” She said the Kopernik Memorial Association hopes that this becomes an activity that brings families together.